We LOVE reading at Irk Valley especially in Year 1L. 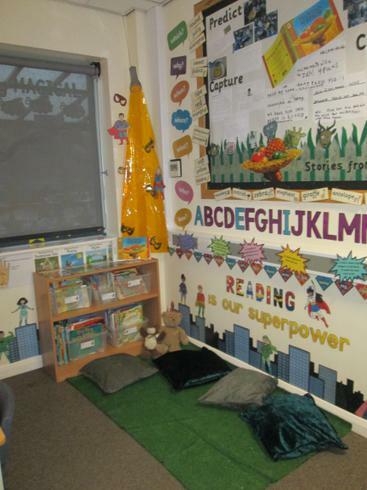 In our classroom we have a lovely reading city filled with a variety of fiction and non-fiction books for the children to read. We ensure to listen to each child read at school frequently and aim to change their reading book at least once a week but we find it incredibly important for the children to read at home too. It would be fantastic if you could spend 10 minutes each night to continue their passion for reading at home! However in preparation for Year 2 during the Summer Term we will not be changing reading books unless red reading records are signed by an adult each time you have read at home throughout the week. If your child has completed the reading book sent home and wishes to continue reading please log onto our fabulous resource ActiveLearn, which is filled with extra reading material specifically assigned for them. Your child’s login can be found on the inside cover of their red reading record. During our final term in Year 1 our focus is all about Fantasy stories.